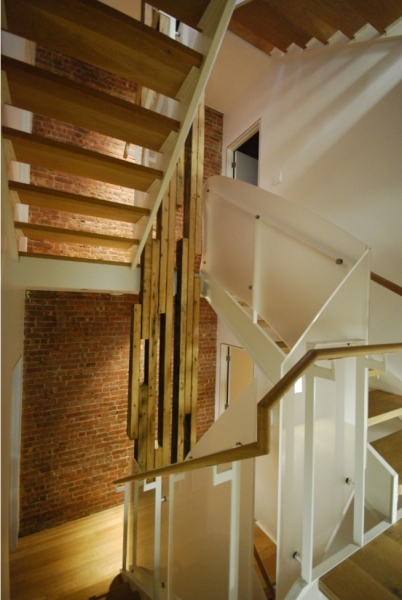 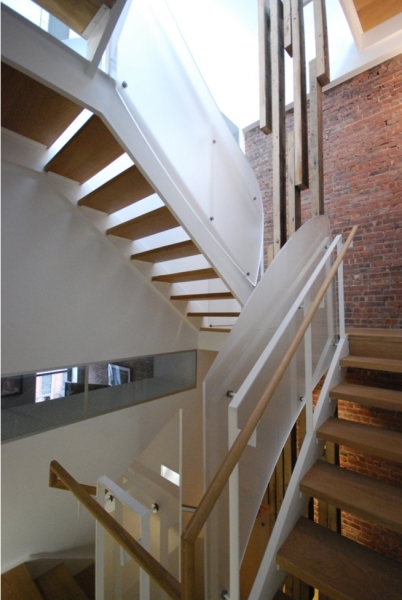 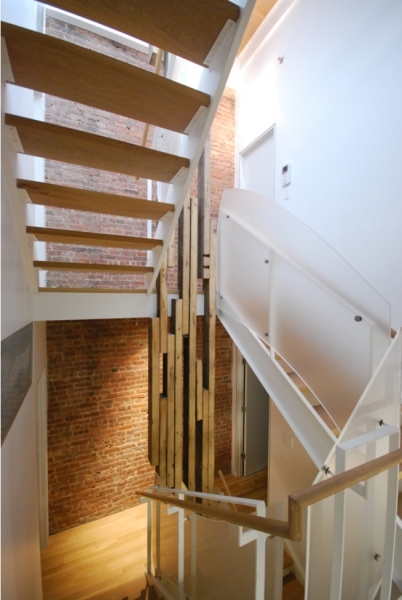 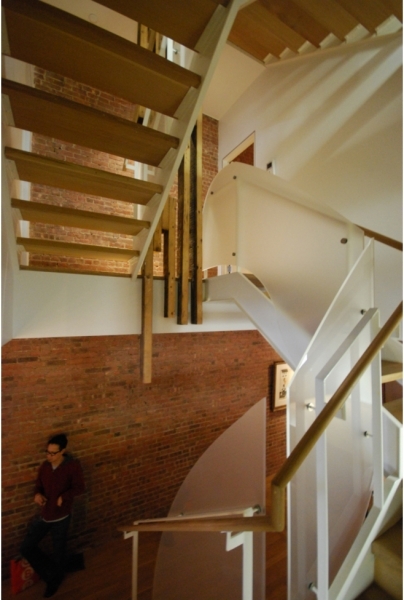 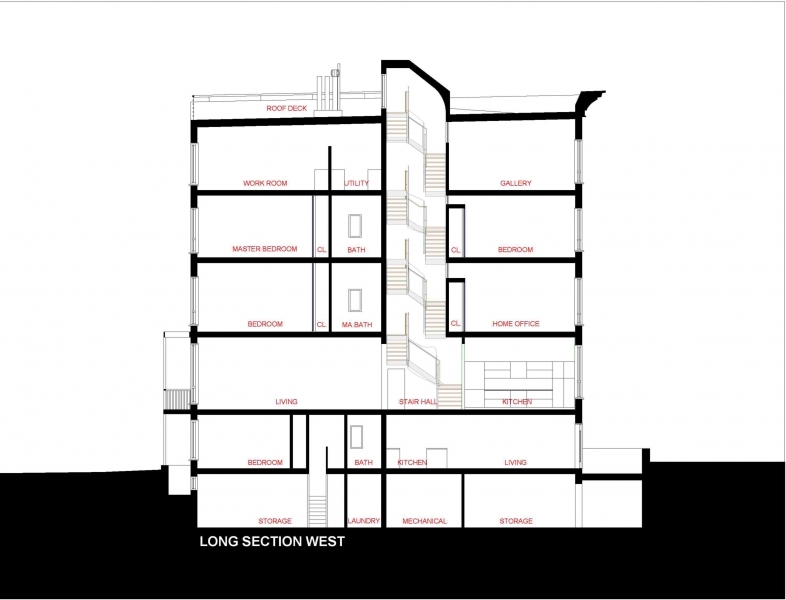 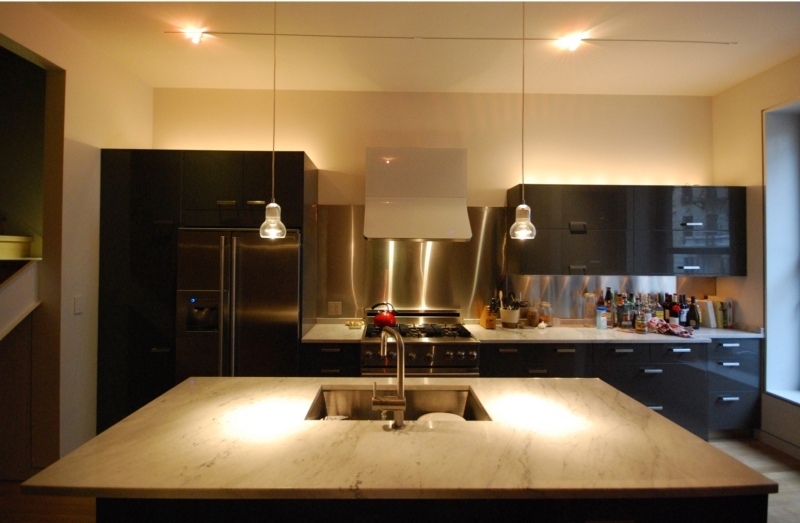 The Harper-Wong Residence is a gut renovation of a 5000sf five story brownstone townhouse in Harlem, New York City. 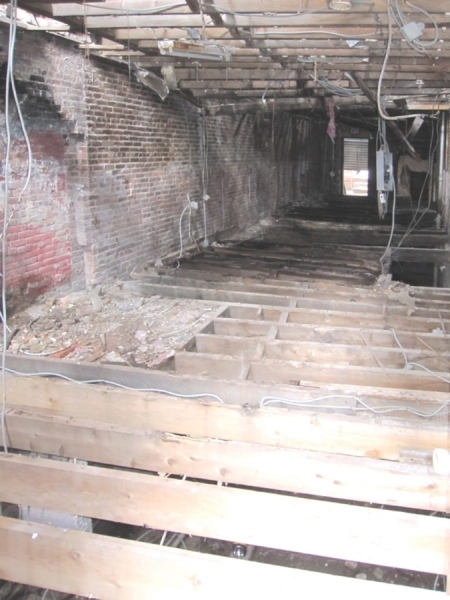 Only the masonry shell was preserved when the owners purchased the property so the project involved building the house almost in its entirety. 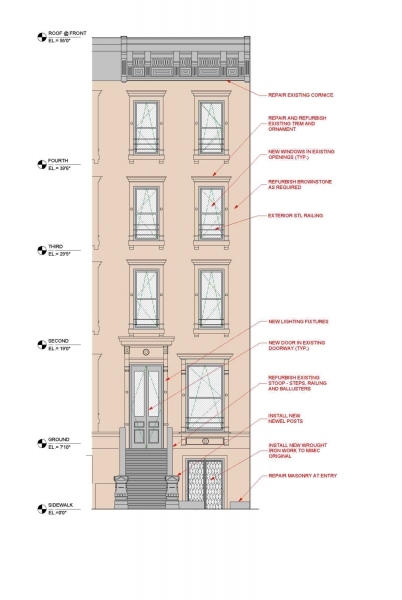 The old masonry facade required repair and repointing and the insertion of new European style tilt/turn windows and doors from Gaulhoffer and a historic recreation of the missing stoop, bollards and railings. 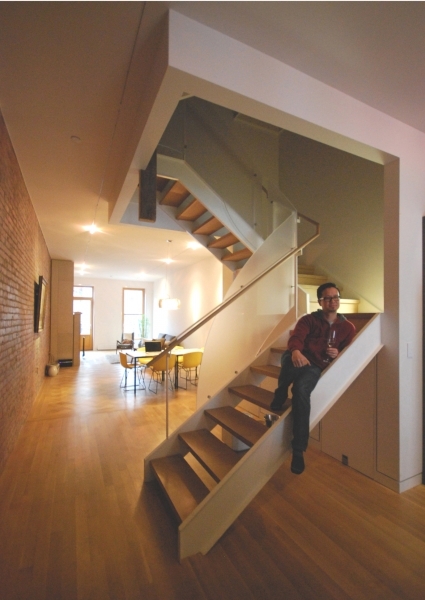 The interior is a contemporary update of a traditional New York City townhouse with a one-bedroom rental unit on the ground level and a four story main residence starting at the parlor level (up the stoop stairs). 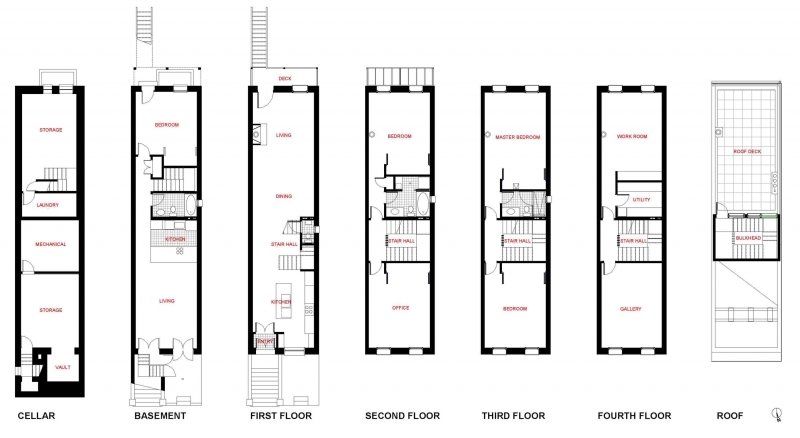 The narrow 15′ lot limited the layout to single rooms front and back with smaller secondary rooms in between. 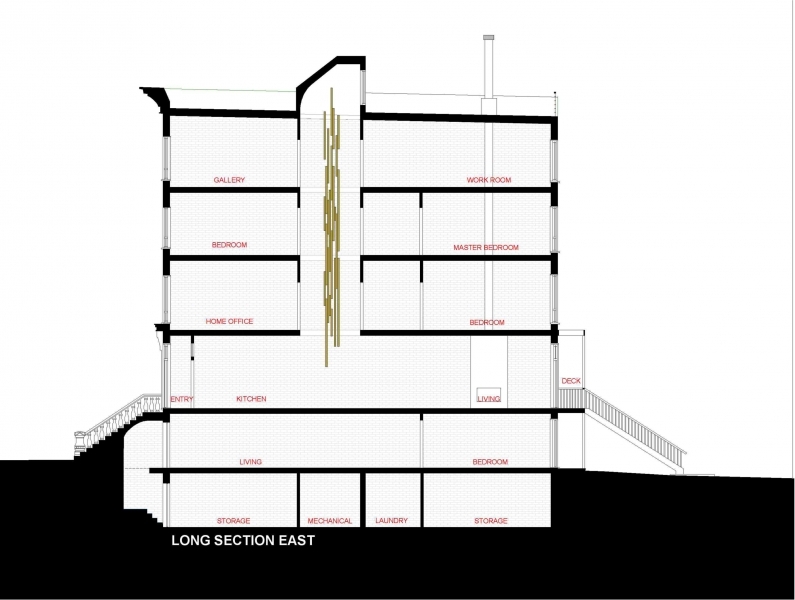 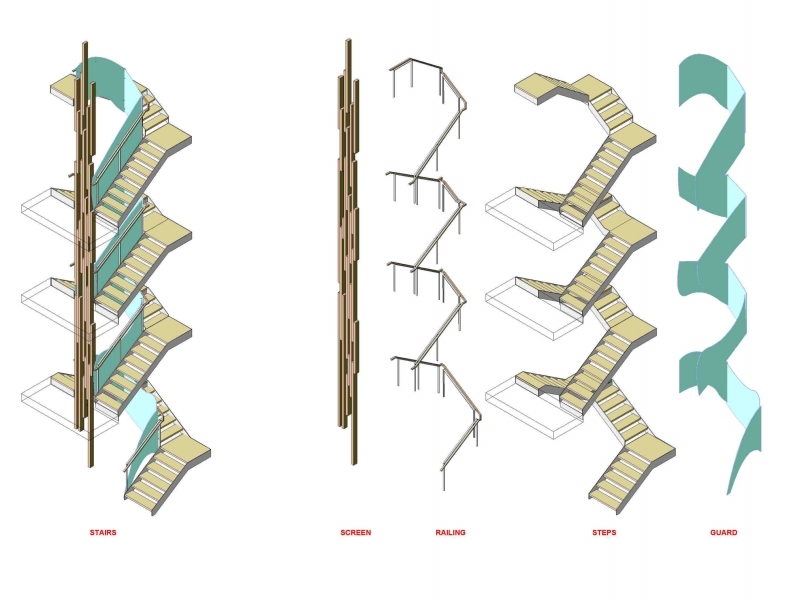 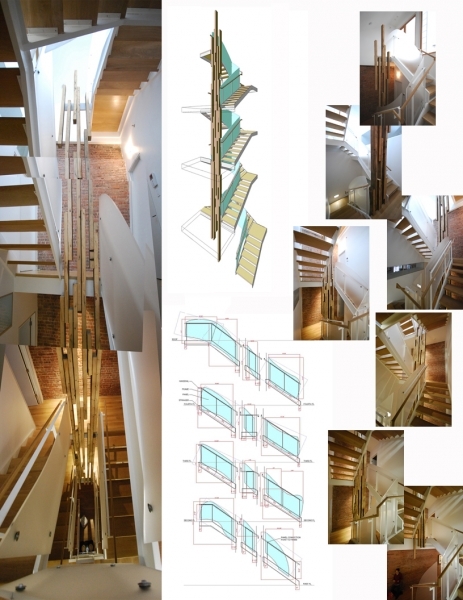 This design is fairly straightforward and allowed for the creation of a center stairwell as an architectural feature element. 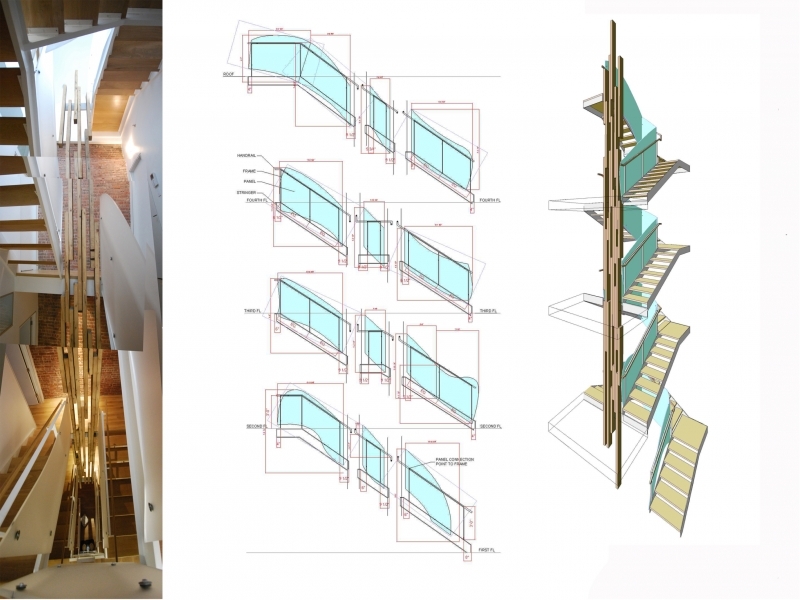 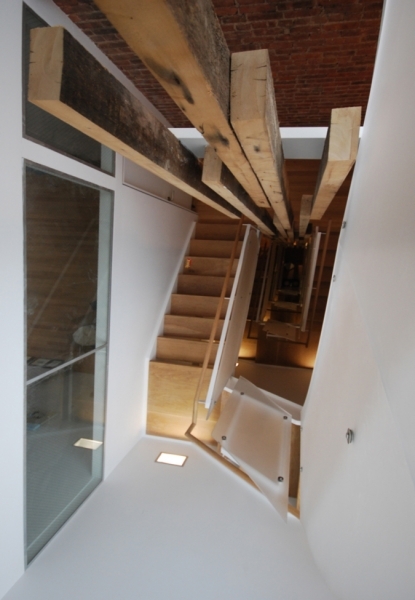 Counter to typical brownstone stairs that usually run straight up one side inside the front door, a full width stairwell was created with a skylight above illuminating the middle of the building with daylight. 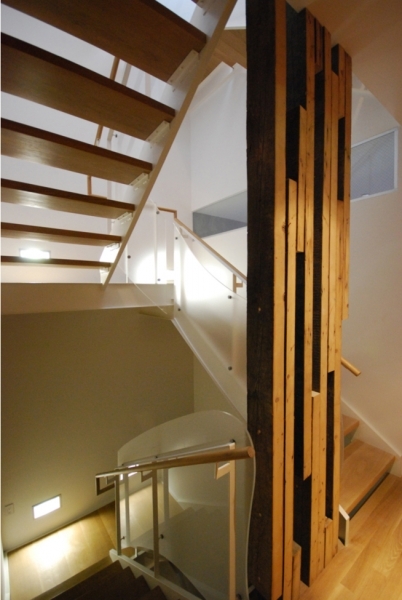 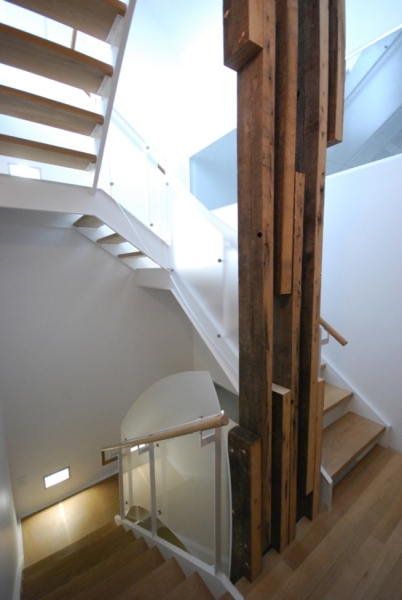 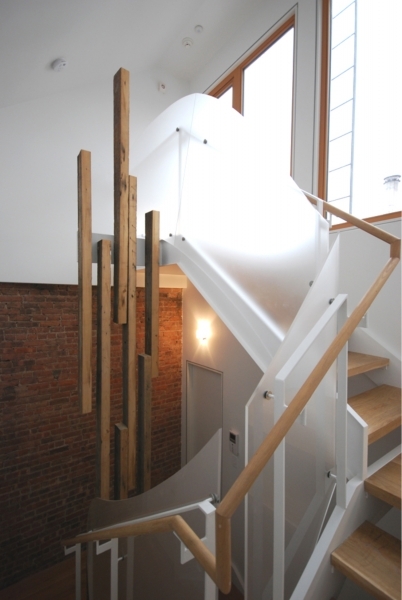 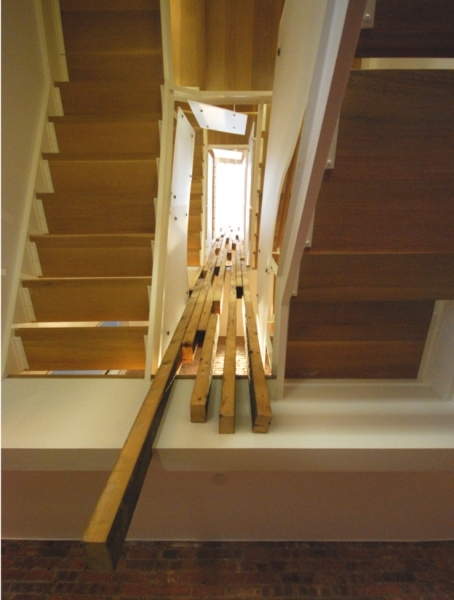 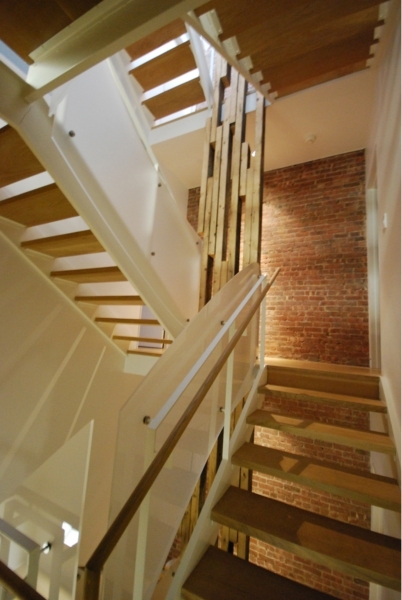 As well steel stringer with wooden steps stairs show off sculptural glass guardrail panels and a rough wood screen wall formed from salvaged joists of the original building.